Not only is Redbox still around, it kicked off a big expansion this year. And on Thursday, The Walt Disney Company filed a lawsuit against the kiosk DVD rental company for its practice of reselling digital download codes that come with Disney DVDs. If the house of the mouse succeeds in court, Redbox is in a lot of trouble. Disney hasn’t been particularly friendly with rental and streaming companies lately. Most notably, it cut ties with Netflix in August because it plans to launch its own streaming service. 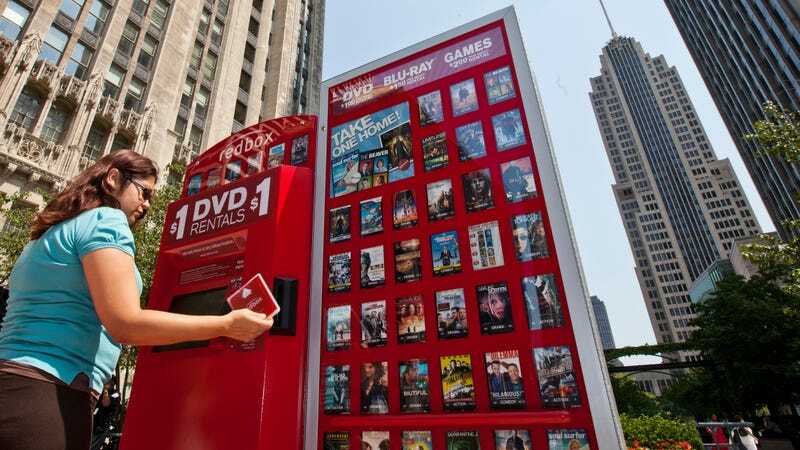 In lieu of a distribution agreement, Redbox has been buying retail copies of Disney DVD and Blu-rays to stock its kiosks. Such copies often come with slips of paper that have a digital download code for the same movie, and Redbox saw an opportunity. Last month, it started selling the codes to its customers for prices ranging between $7.99 and $14.99. Considering the fact that a digital copy of Star Wars: The Force Awakens goes for $19.99 on iTunes, Disney was getting seriously undercut. And Redbox was cleverly doubling its revenue sources because it was renting the DVDs as well. Disney has asked for an injunction on any further sales of download codes, and it wants either the money from Redbox’s sales or $150,000 per copyright infringement. There’s a big gap between $7.99 and $150,000, so the judge holds a lot of power here. In the long-term, Lowe’s decision to lose money paid off, allowing Redbox to maintain customer loyalty by staying stocked. But this situation with Disney is an entirely different beast. It seems possible that Redbox was making more money than it would have in a standard distribution agreement. The resell of digital copies has been controversial in the last few years. In 2016, a judge ruled that the first-sale doctrine didn’t apply in a case of people reselling music files they’d downloaded from iTunes because transferring digital files from one storage device to another constituted unauthorized reproduction. But if a person just sells a one-time use download code, nothing is being reproduced. It’ll be interesting to see these two well-funded companies slug it out in court over whether Disney even has the right to say that you can’t sell these codes.